Why does the Phanar act so cautiously with Orthodox in America and yet acts in such an irresponsible way in Ukraine? What is the stand of the ROCOR on the policy of the Phanar in Ukraine? We have discussed these and other topical issues with Archpriest Seraphim Gan, Chancellor of the Synod of Bishops and Personal Secretary of the First Hierarch of the Russian Orthodox Church Outside of Russia. —Your Reverence, can you tell us about the situation with the Orthodox jurisdictions in the USA? —In 2019, we are going to celebrate the 225th anniversary of the arrival of Orthodoxy to North American continent. The true faith was spread in our land by a group of missionary monks from Valaam Monastery. Among the saints who shone forth in this land are St. Herman, the Wonderworker of Alaska, who came from Valaam Monastery; the Holy Equal-to-the-Apostles Metropolitan Innocent (Veniaminov), a great hierarch and the Enlightener of North America; and His Holiness Patriarch Tikhon, the future confessor of the faith of Christ, who reinforced the Orthodox presence in the USA and zealously provided spiritual guidance to all Orthodox ethnic groups represented there. St. Tikhon encouraged the translation of Orthodox services into English. He appointed bishops and clergy in the Diocese of North America of the Russian Orthodox Church to give due pastoral care to Serbs, Arabs, Greeks and other Orthodox who found themselves in a foreign land. The famous Holy Hierarch Raphael (Hawaweeny) of Brooklyn (1860-1915; canonized by the OCA in 2000) was consecrated a bishop by the future Patriarch Tikhon to rule Antiochean parishes on the territory of North America. St. Raphael served in Arabic, English and even Church Slavonic in the parishes under his archpastoral care. His holy relics (as were the relics of St. Tikhon of Moscow) were uncovered in the 1990s and found incorrupt. Hence it is obvious that St. Tikhon, continuing the holy mission of his predecessors, was building not only “American Russia” but also a new Local Orthodox Church, enjoying the fruits of his successful missionary work as well as the building of churches, which was a very difficult task, as ample historical material confirms. However, for various reasons Patriarch Tikhon’s dreams of establishing a Local Church in North America never came true. North America still has neither a united diocese nor a united Church structure. Almost all Local Orthodox Churches are represented on this continent by their diasporas, which are united into dioceses or autonomous parts of their mother Churches. Some autonomous dioceses of the Local Churches in the USA are ruled by their own Synods, headed by their own primates. Currently, the largest and most influential Church structure in the United States is the Greek Orthodox Archdiocese of America, headed by Archbishop Demetrios (Trakatellis)1. The Patriarchate of Jerusalem has a metochion on Long Island (New York). American parishes which originally were under the jurisdiction of this patriarchate were transferred to the Greek Archdiocese of the Ecumenical Patriarchate several years ago. The Patriarchate of Antioch has its autonomous diocese in the USA and it has achieved impressive results in missionary work. The Serbian Orthodox Church has a few dioceses in North America: the Dioceses of New Gracanica, of Western America, Eastern America, and Canada. The senior hierarch of Orthodox Serbs in America is His Eminence Bishop Longin. He reminds me very much of His Beatitude Metropolitan Onuphry of Ukraine in the sense that he is a man of the Church, is held in great respect in the Church for his monastic spirit, prayer and the conciliar participation of his very open archpastoral heart in the life of one body of the Church of Christ. The “successors” of Patriarch Tikhon, namely the Orthodox Church in America (the former Metropolia of North America of the Russian Church), the ROCOR, and the patriarchal parishes in the USA, have hundreds of parishes that cater to both representatives of different waves of emigration and their ancestors and “natives”—that is, Orthodox converts from among local residents. The Eastern American Diocese of the ROCOR alone has as many as 100 parishes. The Holy Cross Monastery in Wayne in West Virginia, which belongs to this diocese, was opened as a small skete of the famous Holy Trinity Monastery in Jordanville (New York), “the Lavra of the ROCOR”; now it is an independent and rapidly growing English-speaking monastery and it is currently enlarging its buildings in order not to turn down those who seek monastic life. Thus, each Autocephalous Church ministers to its emigrants and their offspring, upholding its identity, spirit, traditions etc. in difficult conditions abroad, while maintaining neighborly relations and Eucharistic unity with other Orthodox “jurisdictions”. Curiously enough, one can find Orthodox schisms of all sorts here in America, including Greek old calendarists of various kinds, followers of Philaret Denisenko, and other Ukrainian schismatics who formally joined the Greek Archdiocese of the Ecumenical Patriarchate but, unfortunately, have always continued supporting the subversive activity of schismatic structures in Ukraine. —Can you explain why the USA has no Autocephalous Orthodox Church as such? 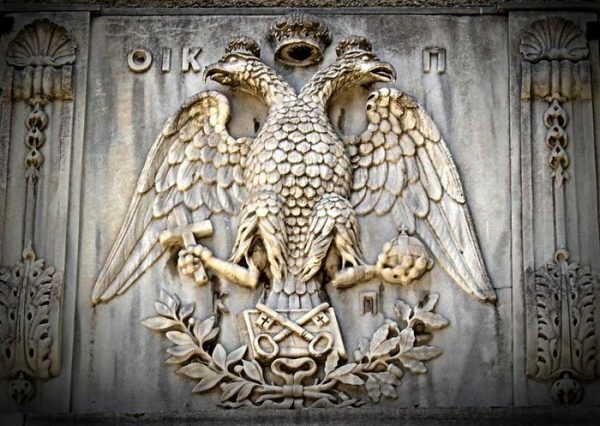 —The calls of the clergy and laity of the Patriarchate of Constantinople’s Greek Archdiocese for the establishment of an independent Autocephalous Church in the USA have been ignored by the Phanar. According to many hierarchs, clergymen and laymen of authority, it is explained by the fact that Constantinople is financially dependent on the Greek Archdiocese in the USA, where most of its flock can be found. Though recently an attempt was made on the level of the Assembly of Bishops of the USA to unite administratively all the canonical structures on the territory of North America under the omophorion of the Patriarch of Constantinople. Many representatives of Local Orthodox Churches found that it was not the right time to do this, not to mention the fact that this proposal, in their view, was imposed by the Phanar for financial and political reasons rather than for Church and pastoral reasons. And some hierarchs of the ROCOR pointed to the impossibility of a hurried administrative unity of the “jurisdictions”, when they are still at variance on some fundamental matters, including those of pastoral practice. Besides, our archpastors love the history of Orthodoxy in America and honor the memory of the saints of the Russian Church who sowed the seeds of faith on this soil. As is generally known, in 1970 the Orthodox Church in America was granted autocephaly, which has not yet been recognized by the Ecumenical Patriarchate along with some other patriarchates represented in the USA. The Phanar regards the OCA as “a group of Russian bishops” and regards North America as its canonical territory. Thus, when the Orthodox hierarchs of North America gather for joint prayer and the discussion of matters relevant to universal Orthodoxy, the primate of the OCA doesn’t preside over such meetings—they are always chaired by Archbishop Demetrios, primate of the Greek Archdiocese of the Patriarchate of Constantinople. The Phanar is not going to grant autocephaly to the Greek Archdiocese in the USA because it (the Phanar) has nothing to gain for it. Moreover, there is no consensus about this issue among Orthodox Greeks. And the Orthodox in the USA are not uniting into one autonomous Church under the omophorion of the Ecumenical Patriarchate because they have no confidence in the Phanar. In any event, Orthodox Christians living in America are prepared neither for autocephaly of the Greek Archdiocese nor for the unification of all the Orthodox jurisdictions under the Phanar as its autonomous part. There are too many problems that hinder unity, and they should be solved on a pastoral and Church level at that. I believe Constantinople is well aware of this. —Are the attempts of the Patriarchate of Constantinople to create “one independent Autocephalous Church” on the territory of Ukraine2 appropriate, while there is no question of establishing one independent Church in the USA, where there are many parishes under its jurisdiction? —“An independent Church for an independent state”—that is an extremely secular approach for purely Church matters. The granting of autocephaly should be the end and not the beginning of a long conciliar process of unification of Orthodox faithful into one Church. Everything seems to indicate that the faithful living in the holy land that now constitutes Ukraine are not ready for “one independent Autocephalous Church”. A pastoral approach to people is necessary in the creation of a new Autocephalous Church—that is, it should unite and not divide them. The work of God for the eternal salvation of human souls should be carried out with reverence, endeavoring to keep the unity of the Spirit in the bond of peace (Eph. 4:3) among the faithful, resolving all issues with everybody’s involvement and on a Church level, not single-handedly and irresponsibly, and without doing harm to the Church. How can we build “One Local Church” on the basis of schism? How can we sacrifice the canonical Church, and by far one of the largest ones in the Orthodox world, for the creation of some new “Church” as soon as possible, that external forces press for in an unchurchly manner? When the restoration of unity within the Russian Orthodox Church was being prepared in the Russian diaspora, the ever-memorable Metropolitan Laurus took care that discussions were held at diocesan assemblies, youth forums, clergy meetings and Church and public meetings of all kinds; during them all issues related to that complicated process were explained. Metropolitan Laurus, like other ROCOR archpastors, always tried to answer the questions of clergy and laity while visiting parishes, explaining the decisions of the Church Hierarchy. Eventually the Fourth All-Diaspora Council was convened with the participation of clergy and laity, at which they were able not only to ask questions and share their views but also to contribute to the work of the Council. In addition, all “problem clerics” (in both the Patriarchate and the ROCOR) repented and were restored to their rank by both Holy Synods, as was announced ahead of the signing of the Act on the Eucharistic Communion in 2007. Thus, the whole of the Russian Church was preparing for the responsible step of restoring the fullness of canonical communion between two parts of our Local Orthodox Church. But why is the Patriarch of Constantinople depriving the Ukrainian Orthodox Church of a conciliar approach to such an important matter so treacherously and in an unchurchly manner, disregarding that Church’s experience and severe trials? Why does the Phanar ignore the primates and representatives of Local Orthodox Churches? The more the Phanar exerts pressure on the Church Hierarchy, clergy and the faithful children of the canonical Church and continue to ignore not only their needs but also their understanding of Church issues, the more opposition it will face from them and primates of other Local Orthodox Churches (which haven’t recognized the uncanonical actions of Constantinople) alike. It looks as if the interference of the Phanar in the Church affairs of Ukraine and unilateral granting of autocephaly to the schismatics divides and not unites people; this applies to Orthodox Christians not only in Ukraine but also in other Local Churches. Why does the Phanar act so cautiously with the Orthodox in America and yet acts in such an irresponsible way in Ukraine? And if Constantinople is thus applying the principle of Church economy to the schismatics, as was stated by its representatives more than once, then why do the others not feel Patriarch Bartholomew’s warm and paternal hand? What they feel is a total lack of pastoral wisdom which is vital for settling Church issues. —What is the stand of the ROCOR on the Phanar policy in Ukraine? —The Synod of Bishops of the Russian Church Outside of Russia has repeatedly spoken out in support of His Beatitude Metropolitan Onufry of Kiev and All Ukraine, the archpastors, pastors and God-loving flock of the canonical Ukrainian Orthodox Church, while condemning the intervention of the Phanar into the territory entrusted to the canonical Church. I believe our Church is ready to continue to raise its voice in defense of the Ukrainian Orthodox Church (the UOC-MP) in every way possible, offering up fervent prayers for it and for the softening of the hearts of its persecutors. 1In autumn 2018 Patriarch Bartholomew of Constantinople during the meeting of the Synod urged the ninety-year-old Archbishop Demetrios to willingly submit his resignation. As of December 2018, it was expected that Archbishop Demetrios would resign on Pascha 2019. 2This interview had been conducted at the end of November 2018, before the so-called “Unification Council” was held in Kiev on December 15.